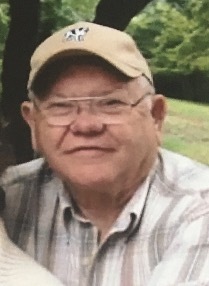 On February 3, 2019, Robert E. Gilley, Sr., 82, of Street, MD; beloved husband of Shirley J. Gilley; devoted father of Robert E. Gilley, Jr., David L. Gilley & his wife Celeste, Kathy L. Price & her husband James and Vicky E. Brumbaugh & her husband Kevin; also survived by six grandchildren. Family and friends will honor Robert’s life at the family owned Evans Funeral Chapel and Cremation Services – Bel Air, 3 Newport Drive (Rt. 23 & Rt. 24), Forest Hill with a Receiving of Friends on Thursday, February 7, 2019 from 11AM-12PM with a memorial service beginning at 12PM. Inurnment Bel Air Memorial Gardens. Memorial contributions in Robert's name may be made to the Gilchrist Hospice Care Inc., 11311 McCormick Rd., Ste. 350, Hunt Valley, MD 21031. Memory tributes may be sent to the family at www.evansfuneralchapel.com.